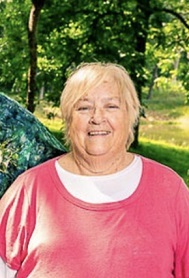 Donna I. Pohren 69, of Lockridge passed away on Thursday, January 10, 2019, at Mercy Medical Center in Des Moines surrounded by her family and friends. Donna was born on October 12, 1949, in Fairfield, the daughter of Walter “Junior” and Dema Morrow Carlson. Donna was united in marriage to Jackie Lee Pohren on December 16, 1967, celebrating 51 years of marriage. She had worked for Chain and Cable in Fairfield, JC Penny, but the love of her life was spending time with her family and grandchildren. She was involved with many children activities including a team mother for Little League, Girl Scouts, and children programs at church. Donna was a member of the New Sweden United Methodist Church rural Lockridge where she served in many areas. Donna and Jackie went on several mission trips. Donna enjoyed traveling across the United States with her family. She is survived by her husband Jackie of Lockridge and her children; Chris (Suzi) Pohren of Hayesville, Carla Pohren of Johnston and Lee Pohren of Lockridge, 9 grandchildren; Cody, Olivia, Tristian, Jackson, Chase, Allyson, Makenze, Brin and Kaleb, 4 brothers; Emer (Barb) Carlson of Fairfield, Wayne (Tracy) Carlson of Keosauqua, Harold Carlson of Colorado, Don Carlson of Arizona, her “sister” Linda Carlson Hillyer of Tipton. According to her wishes cremation has been entrusted to Murphy Funeral Home of Mt. Pleasant. Her family will host a celebration of her life on Monday, January 14, 2019, at the Mt. Pleasant Moose Lodge from 5 to 8 p.m.